Keep Austin weird. Seriously, please do! Just got back from a short trip to Austin. People ask me how was Texas? And I don’t really know because it didn’t feel like I was in Texas. For one, zip car equivalents here are smarts, which is something I never thought I would see in the U.S. and especially in the Lone Star State. “Keep Austin weird” is a popular local slogan and there is definitely something to it. I wasn’t on a lookout for all things weird although there are plenty if you’re so inclined (and yes, chicken s**t bingo is a real thing =) My dual focus was music and food – and Austin delivers on both accounts. The self-proclaimed live music capital of the world, Austin brings to mind big names like Willie Nelson or Janis Joplin. And the nightly music scene keeps thriving, especially on the iconic 6th Street. 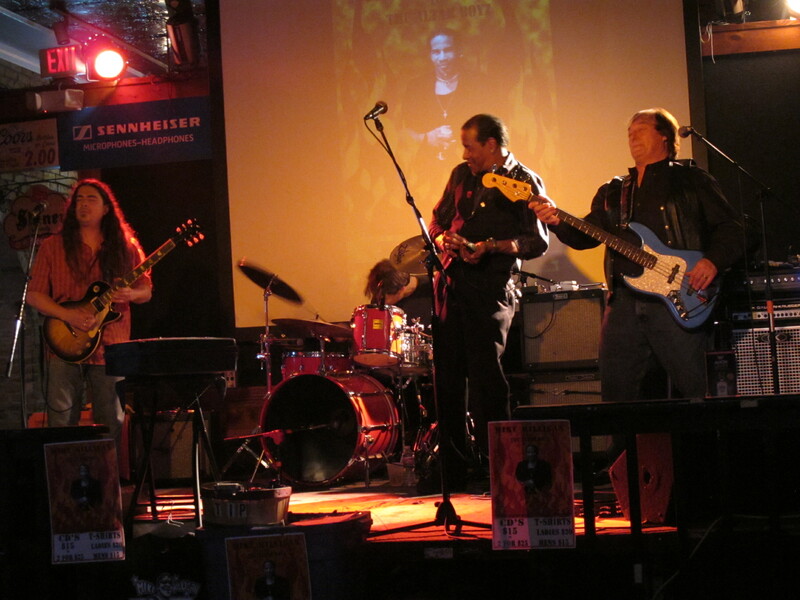 To find out who’s playing where check out The Austin Chronicle or Austin Metro Entertainment. I had two favorites. Blue Monday Blues Jam at Maggie Mae’s with Mike Milligan, accurately described on stage by the Austin Post as “a force of nature, a bundle of musical energy, an explosive, emotive singer and one of the best harp players the blues has ever seen.” The second was Carolyn Wonderland at The Parish. Incidentally, I heard an interview with her on NPR the day my husband and I left for Austin, without knowing who she was at the time. What an amazing artist! 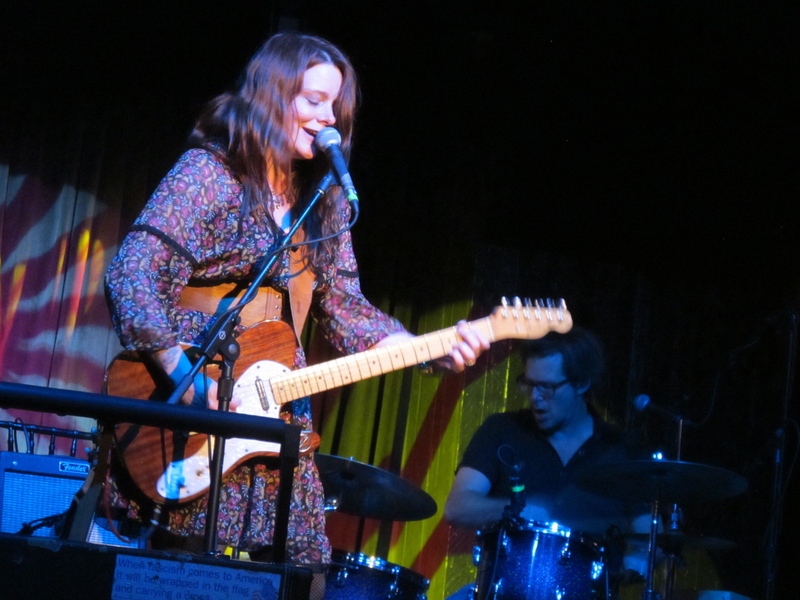 Frequently compared to Janis Joplin and Stevie Ray Vaughan, she has a great voice and awesome guitar skills (she plays with her fingers rather than a pick). 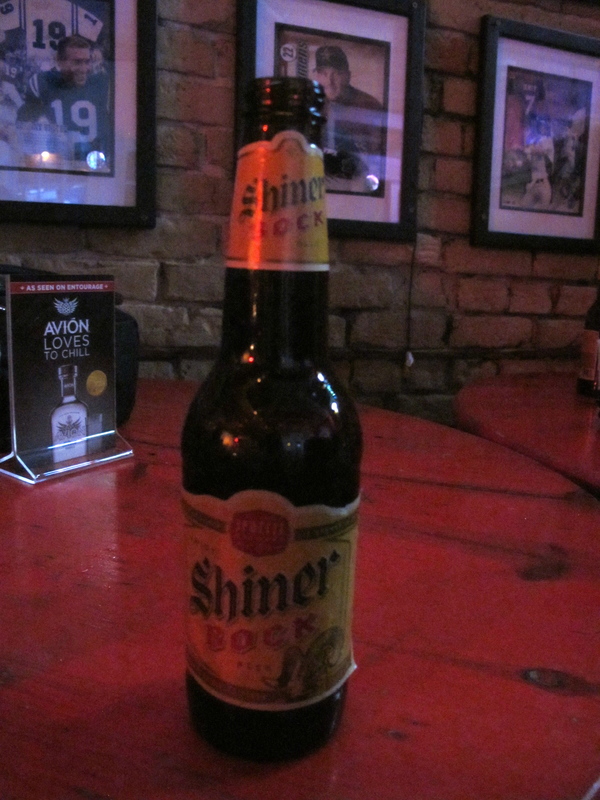 Coupled with a few bottles of Shiner and Real Ale such great music makes for a perfect Austin evening. Walking down the rowdy 6th Street – and it does get progressively rowdier as the weekend nears – it is hard to imagine that it started out as a simple city thoroughfare lined by stables and saloons. Pecan Street, as is was originally called, rose to prominence when the Congress of newly independent Republic of Texas in 1839 chose a town of Waterloo as the site for a new capital and renamed it Austin after Stephen F. Austin, empresario who brought the first 300 Anglo-American families to settle in Texas in the 1820s. The street was far enough from the Colorado river (not the same as the Grand Canyon one) to be safe from flooding and, as anyone strolling around Austin will notice, unusually and conveniently flat. Going west on 6th toward Congress Avenue, don’t miss impressive 1886 Driskill Hotel with the busts of founder Jesse Driskill and his two sons plus a cow head (that’s how the family made its money) carved in limestone ubiquitous in Texas Hill Country and Austin architecture. Speaking of food, Austin exceeded my expectations in that regard, too. I was expecting awesome barbecue and Mexican, and I certainly got that. But I didn’t know much about the German and Czech influences before this trip. 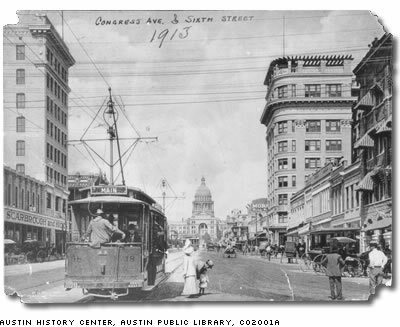 After the original Anglo-American settlers of Austin’s colony, Germans were the next large wave of immigration. With nearby towns named Pflugerville or Gruene that history is easy to infer. Czech immigrants followed en masse in the 1840s and 50s. Both groups brought with them what they are best at – making beer – and for that Texas should be forever grateful. 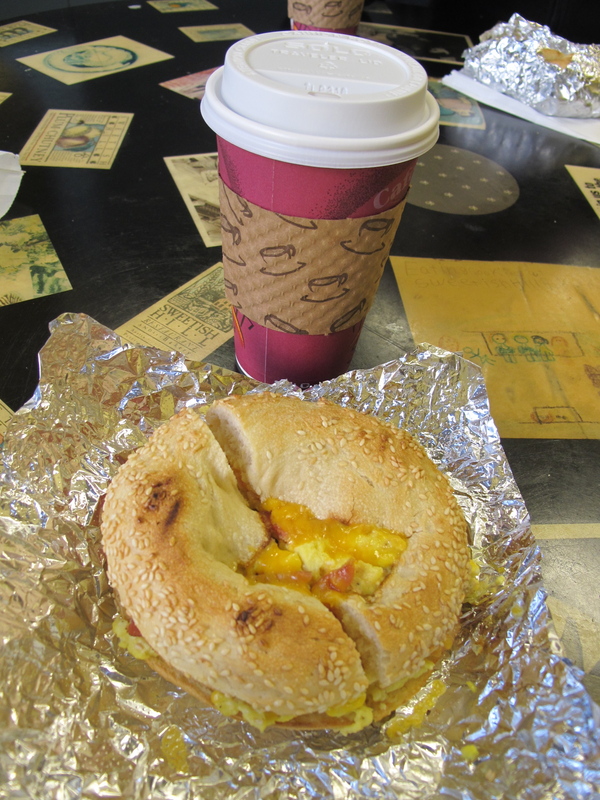 But I found a connection closer to home as well: bialy. I’ve never heard of them before, as apparently few people outside of New York City have, but bialys, or Bialystok Kucken, are a form of bagel that came to America from Białystok, Poland with Jewish immigrants in the early 1900s. Unlike bagels, bialys do not have a hole in the middle but a depression with filling and they are baked, not boiled. Perfect breakfast food after a long night of live music and imbibing. We wrapped up our trip with two serendipitous discoveries. 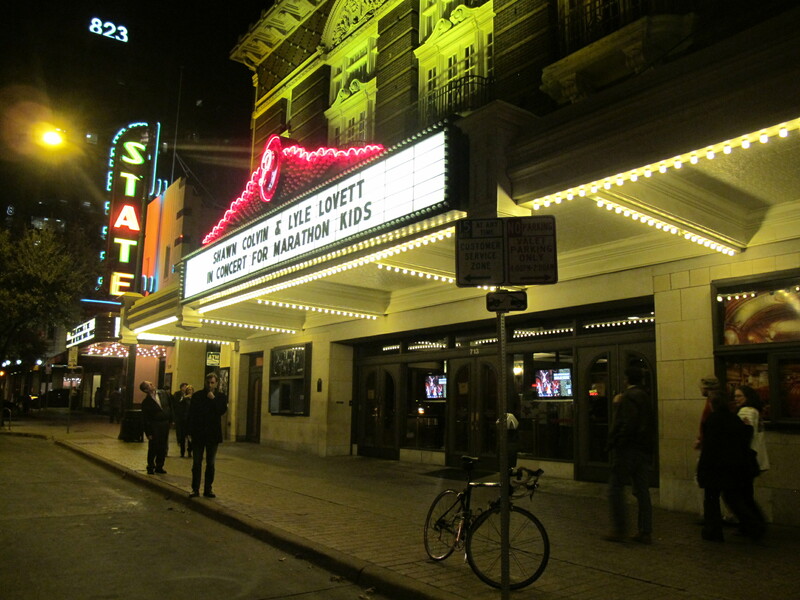 First was a joint performance by Shawn Colvin and Lyle Lovett in Austin’s historic Paramount Theatre. Miraculously, we got tickets just a few hours before the show having spotted a poster in Austin Java on Barton Springs Road (great lunch location by the way) earlier that day. The concert was incredible and worthy of a blog of its own. Suffice to say here that we were singing Fat babies have no pride for the rest of the night. A visit to Krause Springswas the second serendipitous event. We were looking for a place to get out of the city and discovered this popular spot in Spicewood about 30 miles west of Austin. This gorgeous 115 acre property features 32 springs plus several natural and manmade pools that flow into nearby Lake Travis. 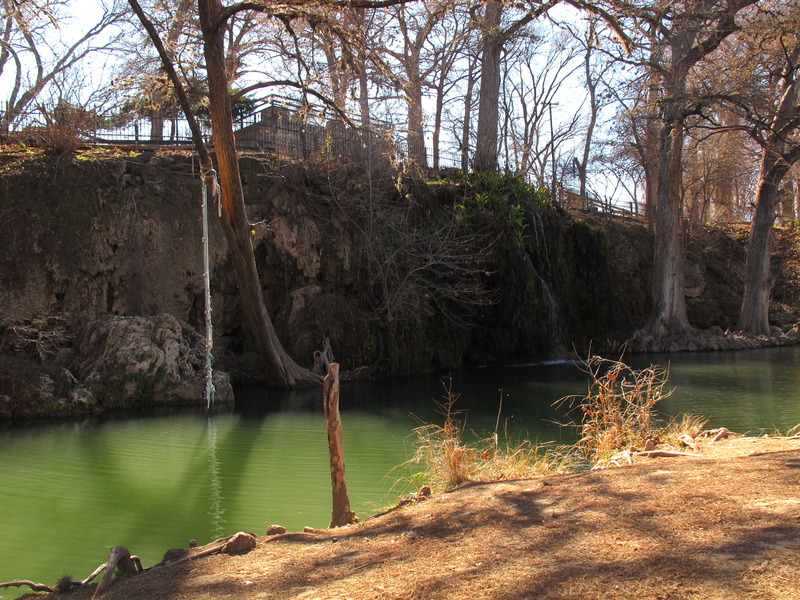 In the summer the place must be mobbed with Austinites looking for a cool swimming hole. This time of the year it was almost empty, i.e. perfect for stretching on a rock across from a rushing waterfall and soaking up January sun rays. The owner was so nice that, upon hearing we only had an hour or so before we needed to head to the airport, he let us enjoy this beautiful escape for free. We took a small detour to Stone House Vineyard on the way back for a sip of Hill Country’s Scheming Beagle Port. Cheers to Austin, until next time! Meanwhile, keep it weird. I’m glad you discovered Spicewood and Krause Springs. My parents live about 15 minutes from there. Although, most Austinites spend their time at Hamilton Pool (my favorite) or Barton Springs. Krause Springs is kind of a little secret. Did you eat at Opie’s BBQ while in Spicewood? If not, you should try it next time. Thanks for visiting Texas!